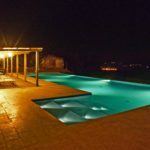 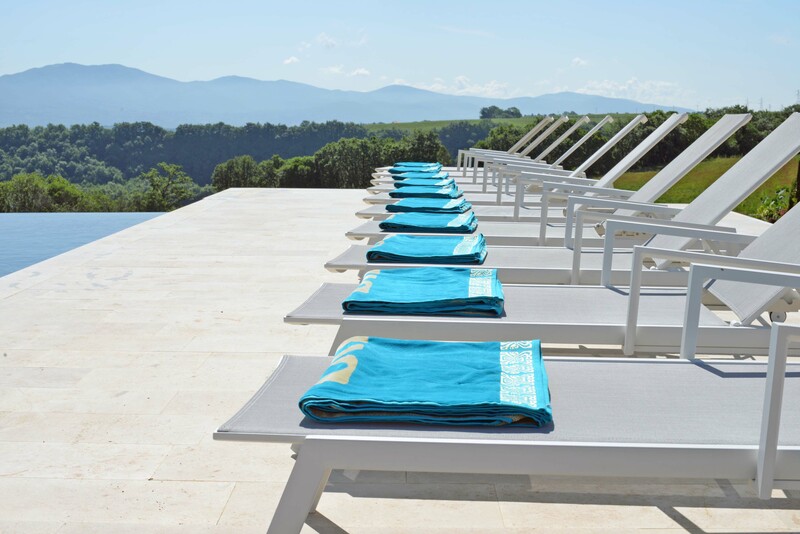 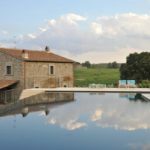 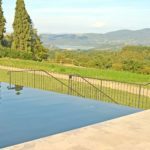 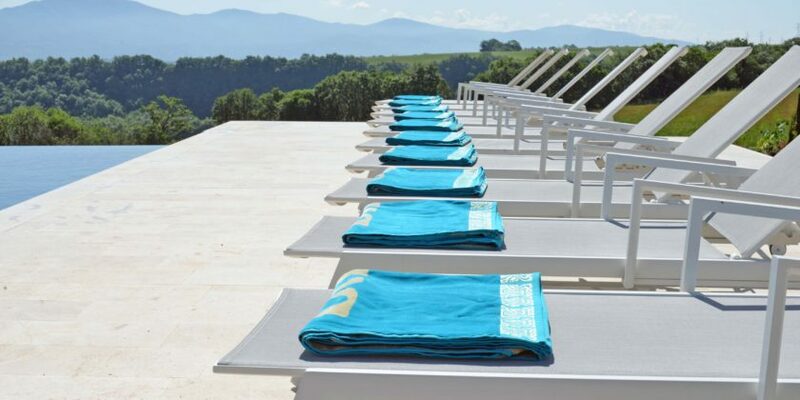 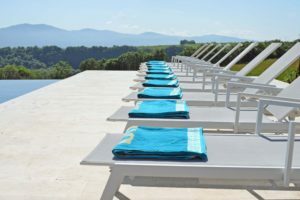 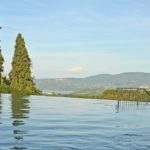 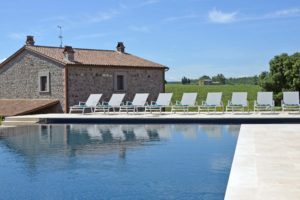 The swimming pool is set slightly above the house and provides a stunning view of the surrounding landscape looking towards lake Corbara, the towns of Civitella del Lago, Montecchio and the mountains behind. 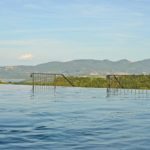 The pool is an enormous 20 metres by 7 metres with an even depth of 1.5 metres. 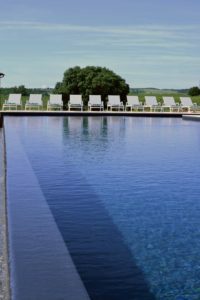 There is a 20 metre South East facing infinity edge ensuring a debris free surface. 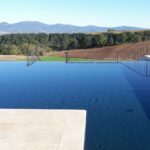 There are steps at one end of the pool forming an L shape 3 metres by 3 metres, the top two steps are a metre wide providing a shallow are for young children, or adults who want to lay in the water and a further ladder at the other end of the pool. 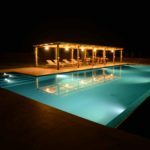 Adjacent to the pool is a 15 metre by 4.5 metre covered pergola with wooden decking providing a large shaded area. 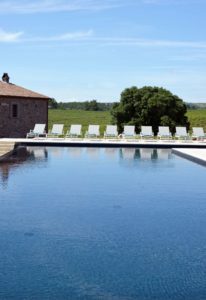 Within this area is a dining table and chairs and a refridgerator.